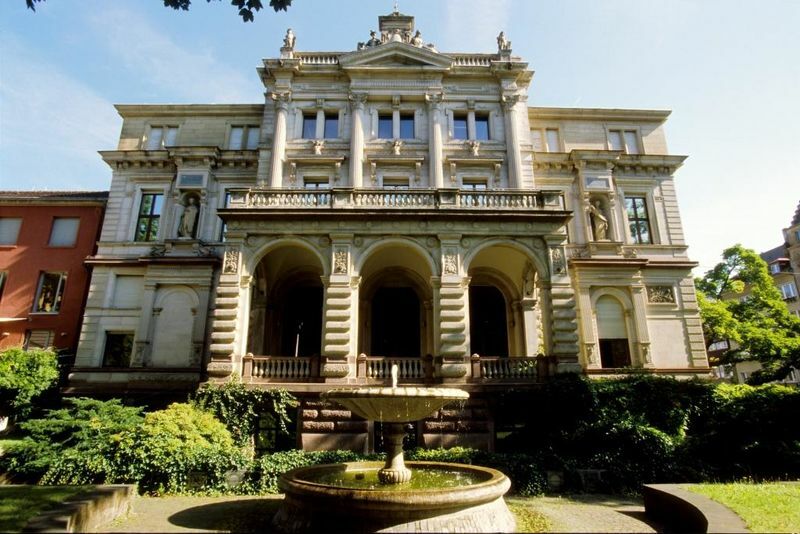 Originally the magnificent retirement home of a big businessman, then the palace of the Baden aristocracy, the residence of the last royal imperial chancellor, seat of the Federal Constitutional Court, university building, and now the municipal museum. The building, as magnificent as it looks, was originally built for a member of the bourgeoise. The big businessman August Schmieder (1824 - 1897) had his ostentacious retirement home built in the style of Italian palace architecture by the eminent architect Josef Durm in 1882 errichten. The extravagant ornamental Atlantes and herms, niche sculptures, and decorative allegories on the roof ridge were created by the sculptor Adolf Heer. The meaning of the allegories is conveyed by aphorisms by Josef Viktor von Scheffel engraved in marble slabs. Also accessible are the gardens with their decorative fountains, cast-iron fencing and gates as well as the wall on the west side of the garden featuring numerous elements of historicism, which in Karlsruhe is a unique example for architecture of this kind. When he married Maria of Cumberland, Duchess of Braunschweig-Lüneburg, Prince Max of Baden bought the Palais in 1899 as a residence for his family so it soon took his name. After the monarchy collapsed in 1918, the last chancellor of the empire left his domicile and ceded it to various institutions and companies as their business premises. This is why none of the original interior decoration has remained. The Prinz-Max Palais was badly damaged in WWII. Afterwards, it was restored and the interior layout of rooms changed. The Federal Consitutional Court resided in this building from 1951 to 1969 before the new buildings were completed on Schlossplatz. In 1978 the city council then decided to develop the Prinz-Max Palais into a cultural centre. It opened in 1981. Today, the building is home to the municipal museum, the Museum for Upper Rhine Literature and the Literature Society as well as the children’s and young people’s library.